Wherever you see applied color you are looking at a powerful sales tool —for color helps sell so many things in industry and in your everyday life. Much of this color in paint or dyes begins with Harmon —one of the world’s leading makers of basic organic colors. There’s a strong likelihood that the color of your car is based on Harmon pigments. That good-looking yellow dress your wife is wearing may be solution dyed from Harmon colors. That red tractor you saw at work in the fields is Harmon colored. Or take that handsome vinyl upholstered chair in the department store window—there again color based on a Harmon product plays a part in a sale. 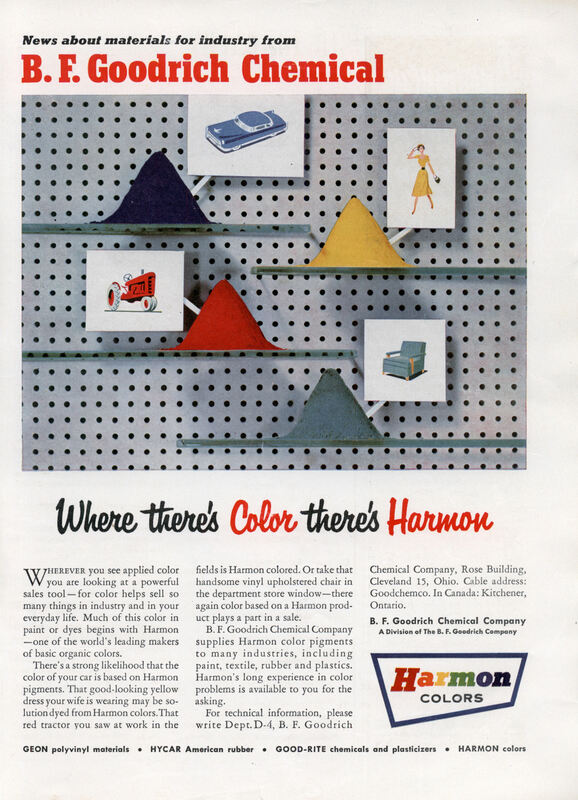 B. F. Goodrich Chemical Company supplies Harmon color pigments to many industries, including paint, textile, rubber and plastics. Harmon’s long experience in color problems is available to you for the asking. For technical information, please write Dept.D-4, B. F. Goodrich Chemical Company, Rose Building, Cleveland 15, Ohio. Cable address: Goodchemco. In Canada: Kitchener, Ontario. 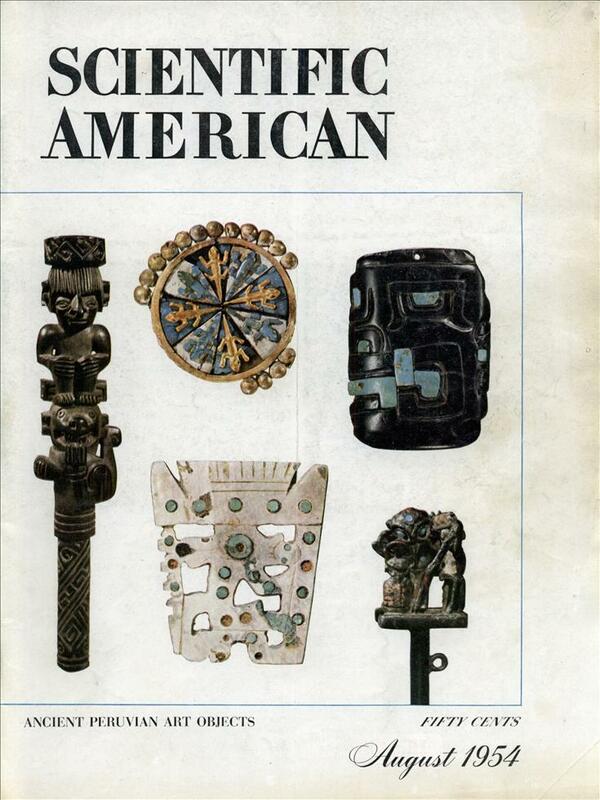 B.F. Goodrich, eh? So how come I can only get tires in black? But they don’t make the blimp! @ Kosher Ham – That’s why the Blimp is only one colour.